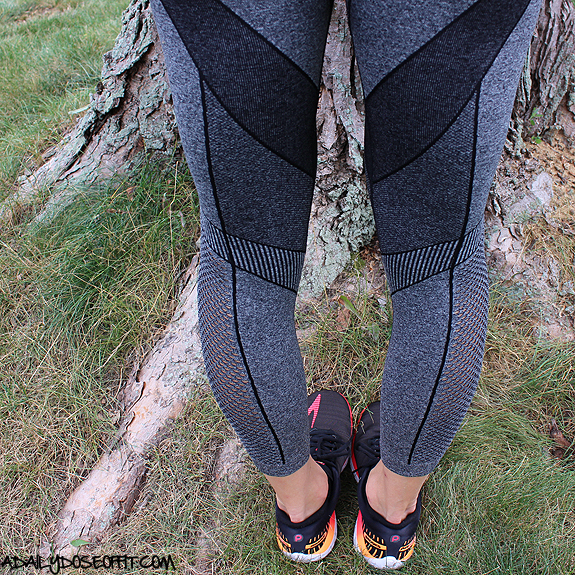 The following post contains an Ellie Activewear review. I was not paid for my opinions, but was given a free outfit to wear. All opinions, as they always are, belong to me. If you have kids, then there might be a good chance you have fitness equipment in your backyard. If you live near a park, then you certain have access to free fitness equipment. One piece in particular: The swing. It's basically a makeshift TRX suspension trainer! 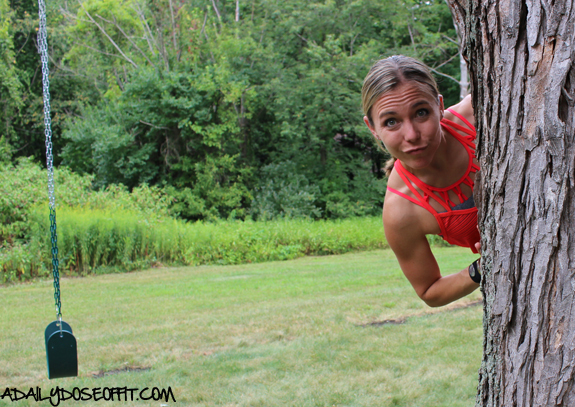 So today, I thought I'd give you some pointers and share a few exercises that just might inspire you to take your workout outside. 2) Survey the ground below the swing. Outdoor surfaces can introduce an element of instability. Look for loose gravel, protruding tree stumps...anything that'll make your foot slip or hurt your hands. 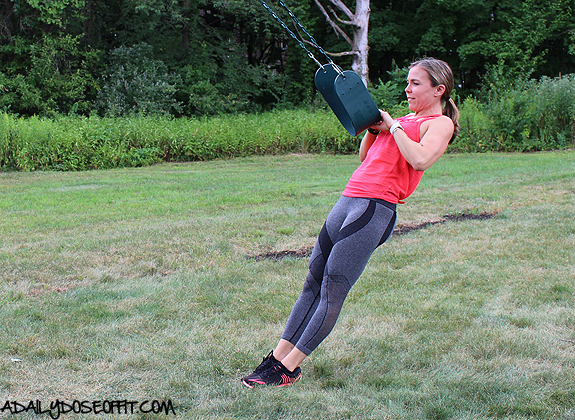 4) Make sure there is plenty of space around the swing. Because if you fall for whatever reason (which you won't, hopefully) you won't want to fall into a pole or someone else on a swing. 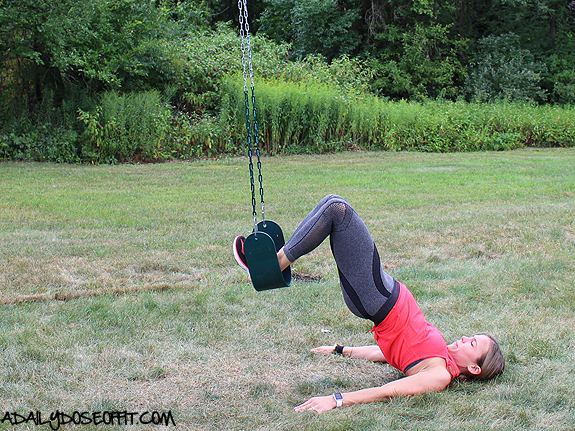 What kind of exercises can you do with a swing? 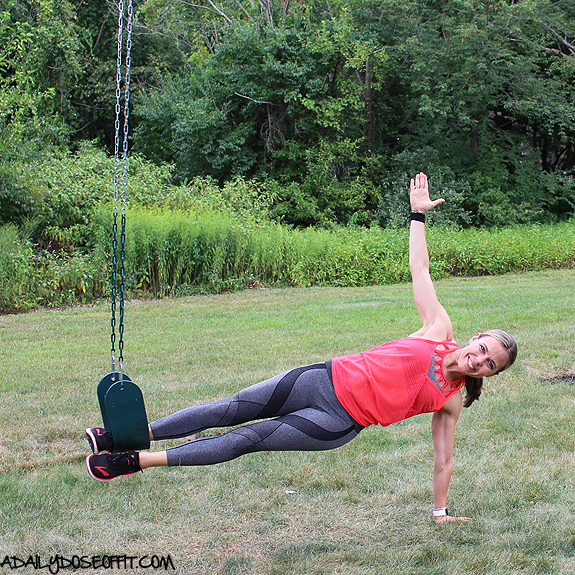 Can you do TRX exercises on a swing? and don't forget about the chains. Depending on the style of the chains on your swing, you may be able to grip them comfortably, too. Add a hop. Add a pulse. Hold some weights if you have those at home (or can get them to the park). Side note: My intent is not to provide a full-body workout, but to inspire you to play with a swing. That said, the exercises contained in this post will hit all of your major muscle groups. If you choose to put them together, please do so with caution and while honoring your body and fitness level. Too much? Keep them separate, or switch the pike for a tuck. Of course, you'll have to check out the height of your swing. You'll ultimately want to start the hamstring curl with your legs bent to 90 degrees, give or take an inch. Anything more than that might render the exercise ineffective. This close-grip row will Fchallengeyour hand strength, too, if you're using a bendable rubber swing. 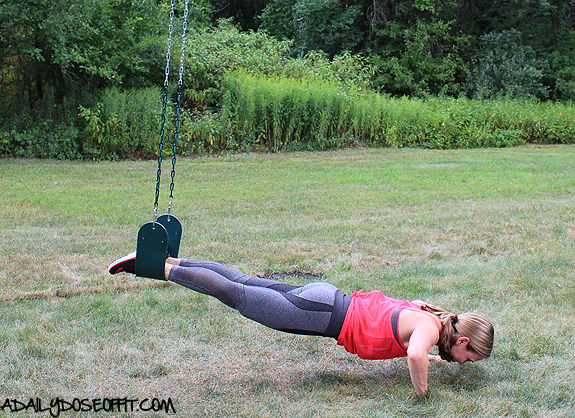 If you're using a wooden swing, you might try grabbing the sides of the swing. Either way, you should be able to turn it into a high pull, too, if your shoulders allow it. I dig the details on the bra. It's Marika brand, and so comfortable. The tank is a bit see-through for my liking...I don't think I could wear it at the gym...but it's still cute. I'm really liking the knot/tie trend that's happening right now. Here's a closer look at the pants. At first, I wasn't too sure about them. I felt like they were just too geometric for my taste, but dang...these tights are super comfortable. SO super comfortable. And I like the subtle mesh detailing around the calf muscles. 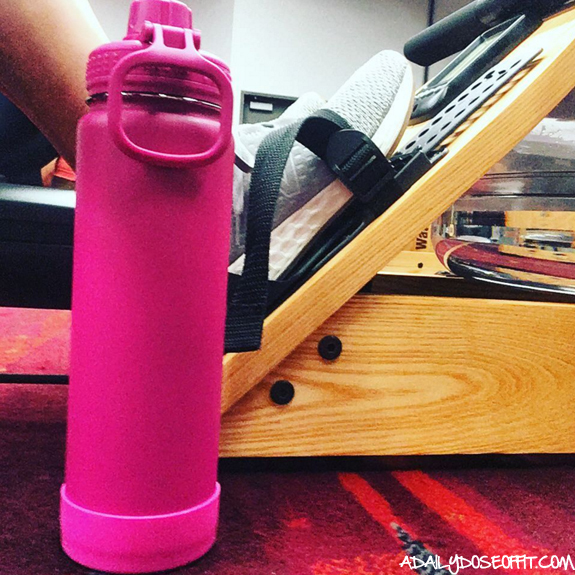 Question: Do you use any unconventional items as fitness equipment? 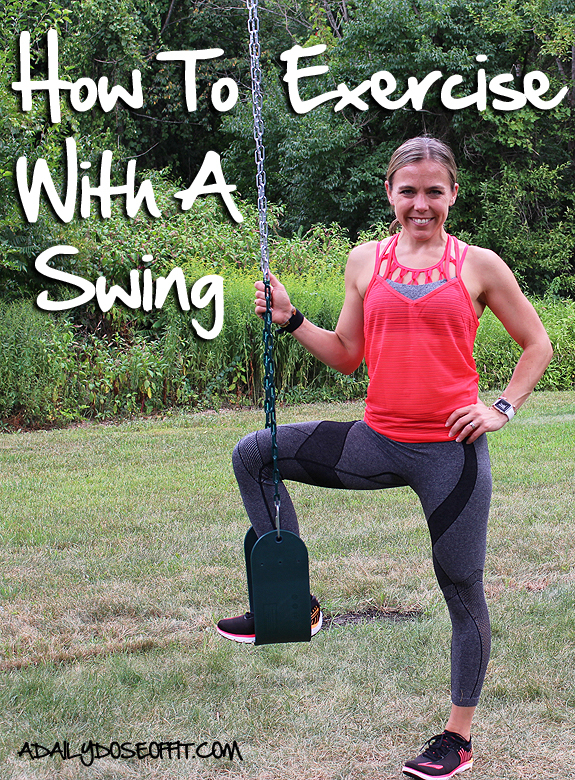 Have you ever worked out with a swing? If so, what exercises did you do? The following post is sponsored by POPSUGAR Select. I was sent the August box for free in exchange for a fair and honest review, which is par for the course around here. All opinions are always my own. Thinking about signing up for a monthly subscription box? Not sure which one to choose? 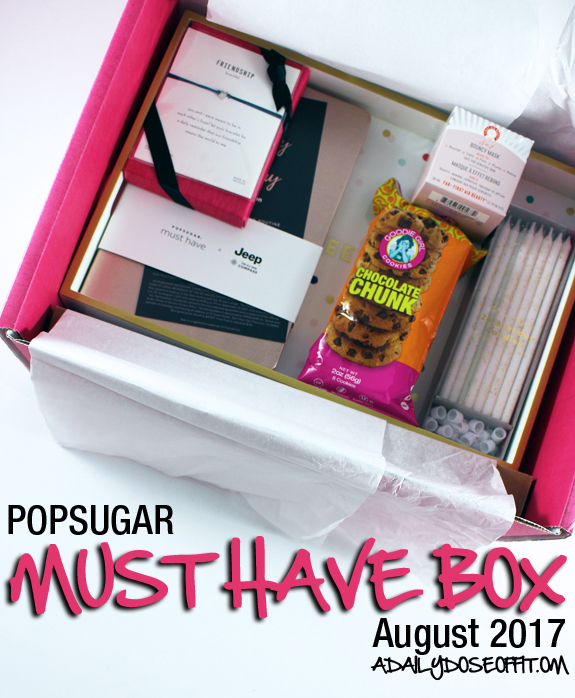 Let me convince you that the POPSUGAR Must Have box is a great choice. Fashion-forward, trend-loving style-mavens will love this perfectly curated box of goodies. I promise you: It's my favorite. And, it makes a great gift. At just $39.99 per month, the Must Have box over $100 worth of full-size products on your door step every month. Truth be told, I haven't tried it yet, but it's on my bathroom counter just waiting for me. I've been getting into face masks and scrubs a lot more than I ever have, and I just purchased a new one from LUSH that I put to good use. Bouncy Mask, get ready. You're up next. 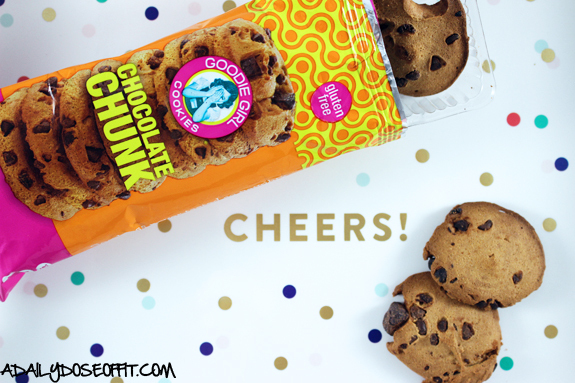 Gluten-free, and every bit delicious! And widely available, too. I can purchase this brand at my local grocery store, I bey you can, too. 1) Put the phone down. 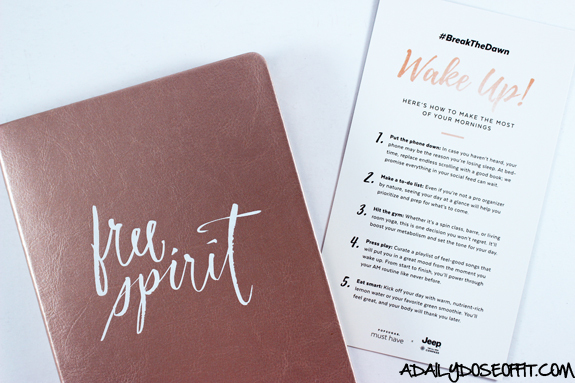 2) Make a to-do list. How many of those things do you do? Also, have you ever heard of Shoptiques? I'm looking forward to using this gift card. Check this out: It's worth $25. Proof that you get your money's worth when you order this curated monthly box. Interested? Say "yes" to the box! Use code PARTY at checkout to take $10 off your first box. 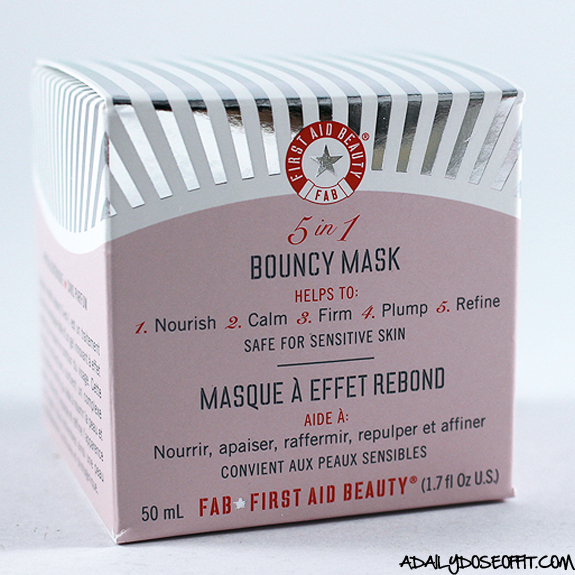 Question: Are you big on face masks? Which one do you use the most? 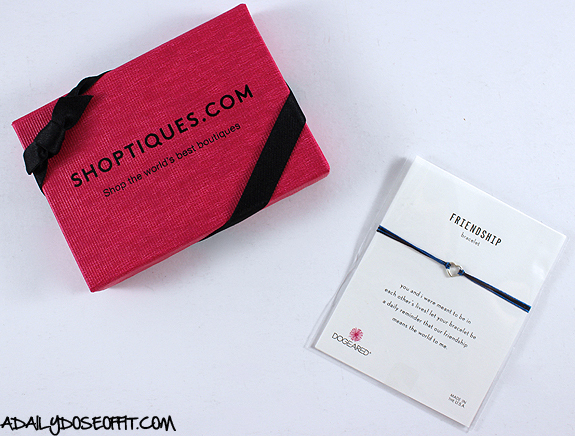 Do you subscribe to a monthly subscription box? Which one? The "Super Bowl of fitness conventions" took place last month in Las Vegas, and I'm still flying high on all of the energy I got from it. 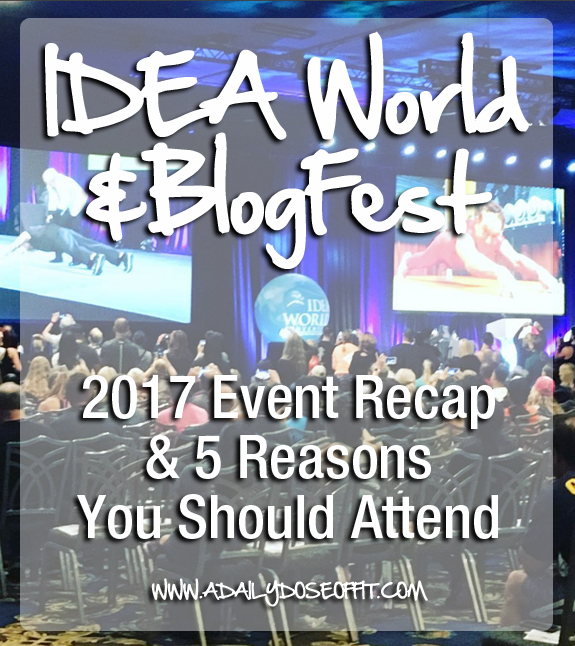 The IDEA World Fitness Convention is an absolute must for any fitness professional. You need to go at least once. I go every two years because that's what works for me. I get so much information and inspiration from this conference that, realistically, it's almost impossible to process everything. Hence, the recap delay. But I want to tell you all about it now. Let's talk about what I learned, and why you should attend. Whenever I attend a conference, I do my homework first. I research sessions and pick those that will help me be the best trainer/instructor/fitness director that I can be. I also pick a few sessions that will entertain and/or motivate me—because it can't be all work and no play, eh? Essentially, this leads to a list of goals and things I'm looking forward to. This also gives me an easy way to process the convention when I get home. It's always fun to connect with other health and fitness bloggers. And to meet some of the brands we get the opportunity to work with. I've been a huge fan of Momentum for a very long time. Amy (the owner) is absolutely wonderful. She and I shared a hotel room, and spent a lot of time talking about the Momentum Jewelry blog. Long story short, fun things are coming and I'm going to be working with her very closely to facilitate the posts. More on that later! Spinning is a class that drains me physically and mentally. I love it, but it's not a class I can plan very easily for a variety of reasons, so taking sessions like this A) gives me new teaching and cueing techniques, and B) totally motivates me to get in the saddle. Also awesome: Indo-Row, which taught me how to row correctly and efficiently. It was the most time I've ever spent on a rower, and it was probably one of the best workouts I did at the conference. I also listened to a lecture for Group Fitness Directors, which gave me some tools to effectively manage a staff that works less than part time. It was nice to hear that some of my struggles are not unique, and pretty commonplace in this industry! Bloggers, this is where I tell you that BlogFest is full of educational and inspirational sessions, too! I sat in on a few sessions that addressed SEO and how to make old content new...seriously, so good. If you're new to the fitness blogging scene, this is absolutely a conference you need to attend it's incredibly welcoming (and because you get IDEA World, too). OMG. This session was everything. 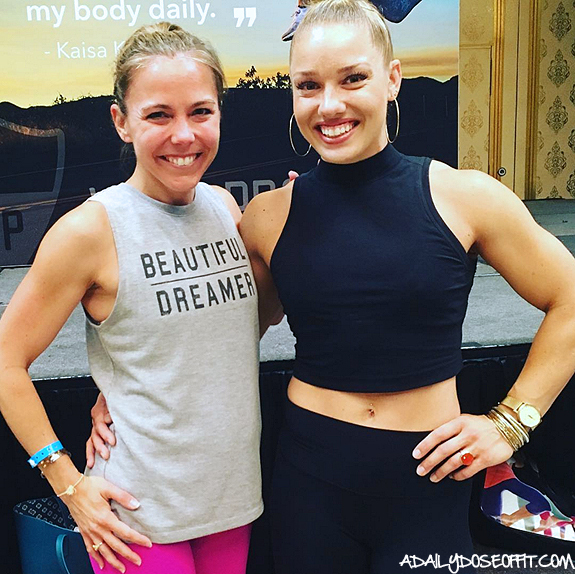 KaisaFit is so awesome, strong and motivating...and the best part, she's all that in person, too. So many big-name fitness folks are super high on their fame. But this girl, she's real. And in it for the right reasons. I enjoyed every minute of her workout. After it, she talked about Vital Proteins, a company she originally approached because she loves their stuff that much. Her favorite product was a collagen powder, which I ended up buying at the expo. 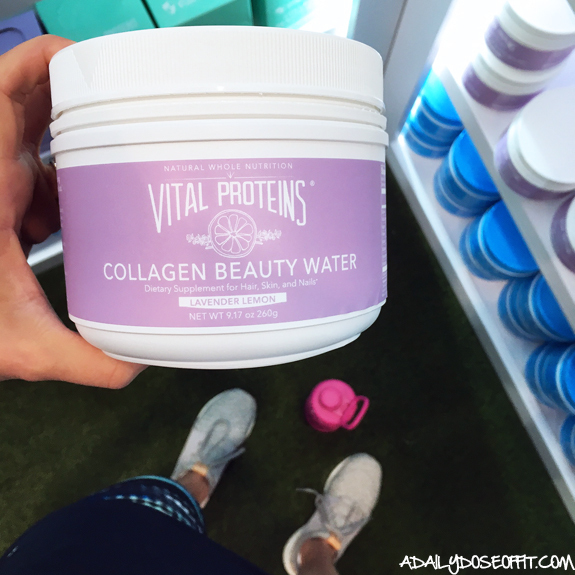 So many people are buzzing about the benefits of collagen: Bone and joint health, skin and hair improvements, more energy, etc. I'm not big on supplements, but like what this can do for me. Kaisa talked about the Lavender and Honey Beauty Water, which sounds and tastes pretty good. I thought maybe it could also help me drink more water, which it has. 5) Brands, brands and more brands! • Keiser: They didn't have any bikes on the fitness floor, but my Schwinn session (on Schwinn bikes) reinforced my belief in Keiser cycling bikes as being the best. • La Colombe Coffee Roasters: They had a Starbucks on site, which I hit up in the morning, but samples from La Colombe kept me going throughout the afternoon. • Prana: I literally bought something from their booth on three separate occasions. They wouldn't have my size in something, then they would. And everything was 50% off, so I basically had to keep buying. • Trigger Point: The vibrating foam roller is epic. My calf muscles were tights, so I just sat there for a bit and let the vibration release them. It was relaxing, even more so because you don't have to actually roll over the vibrating foam roller. Ah, so nice. Might have to get a demo version for the running store I work at. • TRX: Always a great booth to walk by! 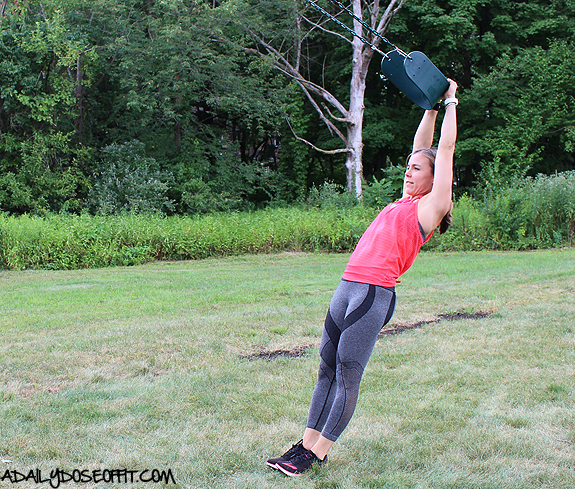 With all those straps out, people were constantly at play, so I got some awesome ideas to use with my clients. • Takeya: Say what you will about your Swell bottles, I think Takeya bottles are equally impressive and I absolutely love, love, love mine. Plus, it's pink. But that's only six reasons why the expo was so awesome. I can't even begin to list all the little toys I saw that I now want...various types of sandbags and weighted hammers being at the top of the list. 1) You'll learn from the leaders in the fitness industry. 2) You'll earn a bulk of your continuing education credits. 3) There is never a dull moment. 4) New and upcoming equipment is yours to play with. 5) The crowd is welcome, supportive, and inspirational. Trust me, it's worth the cost and the trip and...you just need to go. 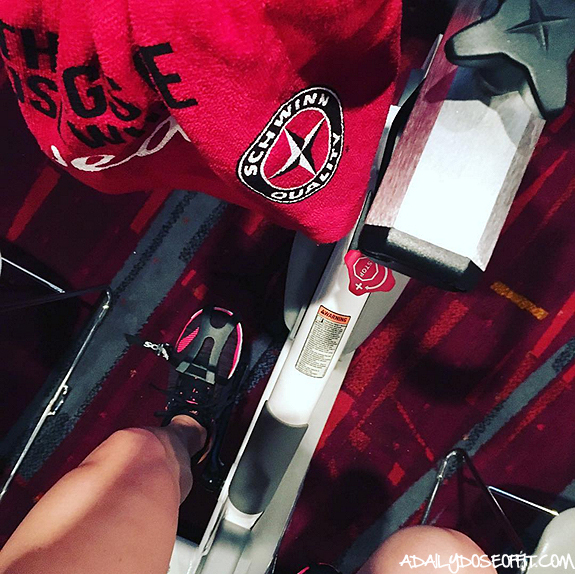 Question: Have you ever been to a fitness or blogging convention? If so, which one and what was your experience? Workouts, healthy meals, fitness facts and fashion—I cover it all as it relates to living the fit life. I am a fitness director, certified personal trainer and group fitness instructor, running store manager, wife and mother. tara (at) adailydoseoffit (dot) com. Click here to learn more about me. 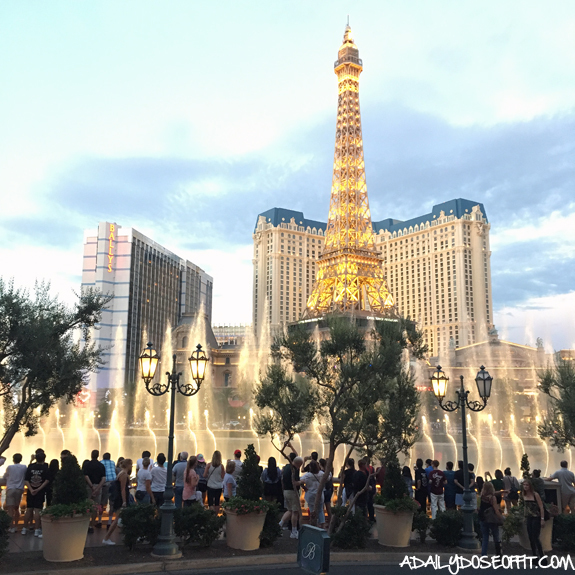 I never hesitate to share a good thing, so I've compiled a list of my most favorite places on the Internet. Enjoy! ©2018 Tara Sabo, all rights reserved. Please do not use anything without permission or without noting its origins on your blog or website. For more details, please read the disclaimer.